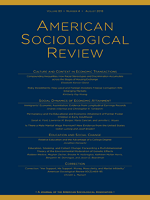 SAGE is an international, leading publisher of groundbreaking textbooks, highly influential journals, and innovative, cutting-edge resources and tools in sociology and related fields. Our textbooks, reference materials, and journal content span the curriculum and represent the work of some of the leading past and present sociological thinkers. 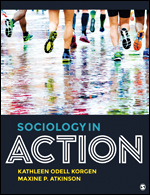 Sociology in Action will inspire your students to do sociology through real-world activities designed to increase learning, retention, and engagement with course material. 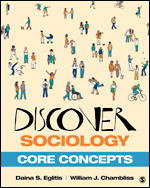 Discover Sociology: Core Concepts explores sociology as a discipline of curious minds, with the theoretical, conceptual, and empirical tools needed to understand, analyze, and even change the world—all in a more streamlined format. It is adapted from Discover Sociology, Third Edition and offers in-depth coverage of 12 high-priority topics that are at the core of almost all introductory sociology courses. SAGE publishes the official journals of the American Sociological Association, including the highly ranked flagship title, American Sociological Review. Other journals include Contemporary Sociology, a bi-monthly journal of reviews; five quarterly specialty journals; an annual volume Sociological Methodology; Contexts, a quarterly magazine for general readers; Socius, an open access journal; and two ASA Section journals.